Chronic inflammation predisposes people to a variety of epithelial cancers. 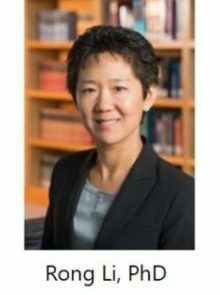 Dr. Rong Li and her team of collaborators at Johns Hopkins University are working to develop a mechanistic understanding of the progression from chronic inflammatory diseases (CID), such as inflammatory bowel disease (IBD), to the initiation of cancer, such as colorectal cancer (CRC), which should be critical for enabling early medical intervention and ultimately prevention of CID-associated cancer. Based on the knowledge that chronic inflammation causes repeated tissue damage and regenerative proliferation, as well as the existing data on chromosomal abnormalities in human IBD patient cells on the inner surface of their small and large intestines (colon), they hypothesize that chromosomal instability resulting from chronic inflammation fuels cancer evolution. The team will explore the mechanistic link between inflammation and chromosomal instability during cancer formation utilizing advanced model systems such as 3-dimensional organoids, as well as a novel technology that enables gene expression analysis of archived longitudinal surveillance biopsies from IBD patients. The findings from this project are expected to provide the foundation for future efforts aimed at developing new therapeutics and biomarkers for early intervention and prevention of CID-associated cancers.